This past Sunday, after a visit to the local Episcopal church, I made an observation. The pastor there was a woman, and true to Episcopal form, she was garbed in a black pant-suit and clerical collar. (The fact that there was a female pastor says volumes about their views on gender and Scripture, but since the case from 1 Timothy 2 is clear-cut, I do not wish to spend time on that here.) The thought that occurred to me—and maybe I am not the first to notice this—is that I have never seen a female priest, pastor, chaplain, or bishop that wasn't dressed in full liturgical vesture during the divine service. It doesn't seem to make a difference how liberal the theology or how far removed the worship practices are from tradition; you will still see women clad in albs, stoles, chasubles, and miters. 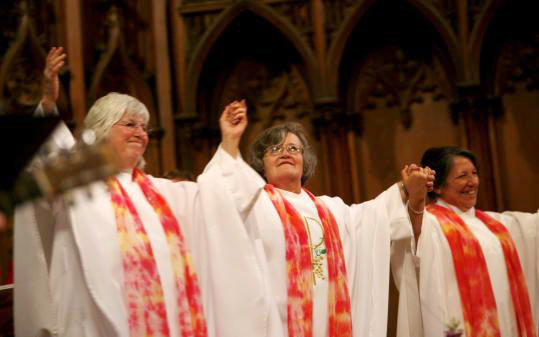 To test whether my observation was too limited to make any broad statements about female clergy in general, I entered some half-dozen Google image searches for "female priest," "female bishop," "woman pastor," etc. I scanned perhaps thousands of images, and noticed only a very few that didn't follow this formula. While this isn't a substitute for empirical data, it at least lends more than anecdotal evidence to my observation. So, speaking as a human being, I can't help but notice patterns. And I also can't help but ask why this particular pattern exists. In church bodies that place little value on tradition, and even less on Scripture, why is it that so many still adhere to the tradition of liturgical vesture? I think there is an easy answer to this. For starters, liturgical vesture is not just an empty tradition. It is one that has assumed a great deal of symbolism over the roughly 1,800 years that it has been in use. The various parts as a whole symbolize the special calling, responsibility, and authority that God has given to ordained preachers of the Word. It means, "I am acting by God's command and on his behalf." Even many liberal denominations recognize this, and female (so-called) clergy have donned liturgical vesture to give them the semblance of legitimacy and authority, when God has not granted it. My second question is that if pretend pastors can see the value in liturgical vesture, why are legitimate pastors having such a hard time seeing it? Something is not counterfeited unless it has practical value. While it seems that female clergy are almost universally vested, it is becoming more and more common in confessional Lutheran circles for male pastors to go unvested. And I'm not just talking about the black Geneva gown made popular by the Reformed tradition. I'm talking about people like this clown (left). Pastors Ski and Glende, who co-founded The CORE in Appleton, Wisconsin, explain that they "work to be students of the culture." 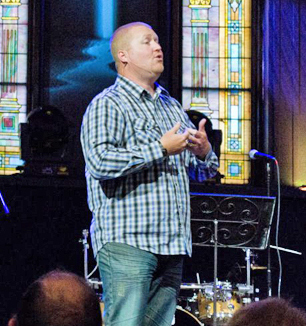 The church's motto is "Real, relevant, and relational," which apparently means dressing like Larry the Cable Guy to deliver God's Word. Why would a pastor dress like this? I looked for answers in the visitor section of the church's website. In the section about what to wear to church, they seem to equate wearing nice clothes with pretending to be perfect. As a matter of theological interest, you are perfect, in one sense, because of what Christ has done. And this is why pastors and priests have traditionally worn a white alb. Understood correctly, dressing up for church should not be equated with snobbery or self-righteousness. I gather that many Christians see it as an act of love for the God who has clothed them in his own righteous robe. And even though the goal of this post is not to discuss what laymen should wear to church, it seems that the pastors at The CORE and other pseudo-Lutheran churches see liturgical vesture as an extension of "dressing up." They unabashedly equate traditions with legalism and snobbery.1 And since they consider anything regarding worship an external matter and therefore an adiaphoron, they give themselves license to discard whatever they dislike. It makes a lot of sense. Judges wear uniforms. Soldiers wear uniforms. Policemen wear uniforms. Even though policemen regularly interact with ordinary citizens, they don't dress like regular blokes unless they are undercover. (I've never heard of an undercover pastor.) Every special office has its own uniform or dress code to distinguish its members from people of other offices, and to signify the special authority it wields. Pastors have a very special authority. A pastor is not just some schmuck off the street who feels especially spiritual. In confessional Lutheran circles, pastors go through 8 years of training; Greek and Hebrew, theology, hermeneutics, exegesis, etc. They have the very solemn responsibility of caring for souls and administering the Word and Sacraments. And they bring the prayers of their congregations before God. It makes every kind of sense that they distinguish themselves visually from the laymen of the congregation, especially during the divine service. The vesture that a priest, pastor, or bishop wears symbolizes his ordination, his special, God-given authority, and his submission to God's Word. But this new breed of Lutheran pastors is the polar opposite of the counterfeit female pastors; they want to exercise their pastoral duties and authority, but without any outward semblance of legitimacy or ordination. It's like a plainclothes cop wanting to arrest people without ever having to show his badge. There is ample biblical precedent. Even though the Old Testament regulations do not apply to the New Testament church, no detail recorded in Scripture was recorded in vain. Why did God command that the priests be so elaborately garbed in ceremonial clothing? I think that reason #1 above would certainly have been as valid then as now. It also reinforced the idea that the priests were coming before a holy God. They dared not "come as they are," because God cannot tolerate sin. Today, we have largely lost the idea that we are in the presence of God during worship. We don't call on God to come our party—He calls us to his house on his terms. That idea has not changed in NT worship. In fact, Jesus reinforced it (Mt 18:20). 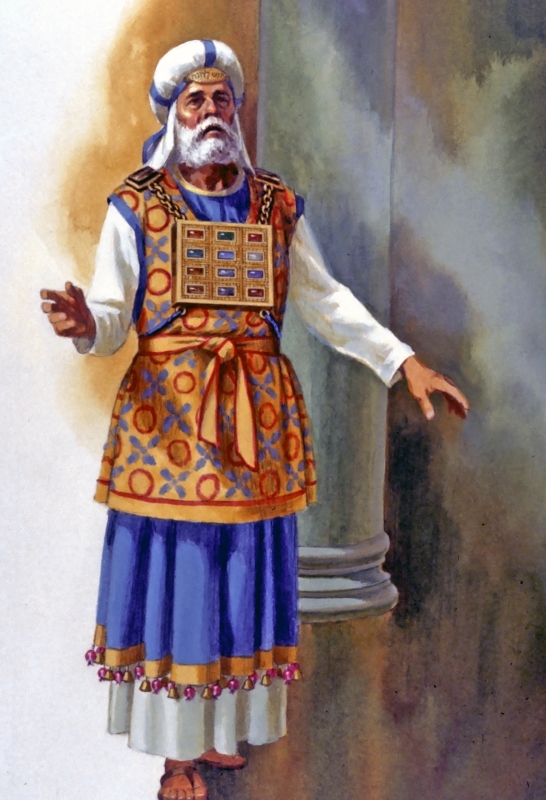 When the Jews expelled the early Christians from the synagogues and the Christians were forced to find their own places of worship, it was in keeping with both OT precedent and with doing all things in good order (1 Cor 14:40) for them to eventually adopt their own ecclesiastical garments. God works through Christian traditions. Concerning traditions, Luther wrote, "We should not discard or alter what cannot be discarded or altered on clear Scriptural authority. God is wonderful in his works. What he does not will, he clearly witnesses to in Scripture. What is not so witnessed to there, we can accept as his work. We are guiltless and he will not mislead us. "2 No pastor who promises to uphold the Lutheran Confessions at his ordination or installation should dispose of liturgical vesture and other church traditions unless their observance becomes sinful in itself. The reason being is that the Apology to the Augsburg Confession, Article XV, upholds the use of traditions as good and useful for teaching the Christian faith and for contributing "to tranquility and good order." So long as they are not "required as necessary," they ought to be kept. To my knowledge, no Christian has ever claimed that observing proper liturgical vesture merited him the forgiveness of sins. But the Apology to the AC goes even further, citing traditions as a unifying force in Christendom: "In this very assembly we have sufficiently shown that, for the sake of love, we will reluctantly observe adiaphora with others, even if such things should prove to be somewhat burdensome. We judge that the greatest possible public concord ought to be preferred to all other interests." I am sure that further arguments could be made, but I believe these points are sufficient to make a solid case for preserving the practice of wearing liturgical vesture. While there is no biblical law commanding its use, neither is there any good reason for throwing it off. And there are many good reasons for retaining its use in our churches. 1 That is not an assumption; it came straight from Pastor Glende's mouth. 2 Carl C. Christensen, Art and the Reformation in Germany (Athens, OH: Ohio University Press, 1979), 55. By what are you offended in particular? OK, not sure what you are offended by either but hope that you don't keep your brother, Mr. Mayer, hanging and explain how he offended you. Wow, thank you for your great post. This is one of those things that you've noticed, but don't really know that you've noticed until it's been pointed out to you. Thanks for doing just that. I'm giving a lot of thought to what you wrote here: "My second question is that if pretend pastors can see the value in liturgical vesture, why are legitimate pastors having such a hard time seeing it? Something is not counterfeited unless it has practical value." I do not know Pastor Ski, so I hesitate to completely embrace your criticisms of him and his methods. I am an LCMS pastor who works primarily with youth and young adults. I know that dressing more casual (specifically in non-worship settings) can make me more approachable in some ways. At the same time, I have also seen the ways in which this same sort of thing can end up diminishing people's view of the pastoral office. I don't know that there is one right answer to this issue, but I really appreciate the points you've raised and the questions you've asked. This is the first blog of yours that I've read. I look forward to exploring more of your writing. Thanks very much, for your compliments and concerns. I went to college with a guy (who is now ordained) who tried really hard to be the "cool youth pastor." And he succeeded, in one sense. He succeeded in being well liked by them, and in being their buddy. But I'm not sure that that is always best for them, you know? My brother (a seminary student) did not see a whole lot of teaching happening in that scenario. But perhaps the worst part was that instead of having a pastor-layman or mentor-mentee relationship with the youths, it was more like a clique that excluded the uncool people. On the other hand, I know pastors who are very proper about the way they conduct worship, and they are still approachable. But they are approachable in a different way. They're approachable as a father figure, a neighborhood policeman, or someone you trust and respect. You're probably not going to go play a round of paintball with them, but when it comes to spiritual matters, you can still open up to them. We should also realize a lot of the "approachability" has to do with personality, and not just how they conduct worship. Outside of worship, I think it's far less important what pastors wear. Thanks again for contributing to this topic! You and I are on the same page here. Everything I learned about vestments I learned in my home congregation. I got to Sem and it was like a move to Geneva. I was mocked for wearing the collar on days when I preached, and the only one who wore anything white. I am very formal when leading worship, making hospital/shut-in calls. Blue jeans much of the week. More so now that I am semi retired. I really appreciate your posts. I think it has a small amount to do with which denomination you look to for examples. You'd never find a vested female pastor in the non-denomination/pentecostal end of the spectrum. Nobody has vestments there, not even the men. But the closer you get to reformation roots the more vestments you'll find. You're correct. And the examples I did find of unvested female pastors appeared to be of Free Evangelicals or Non-denoms. But... I have not personally seen any. I did admit to relying on my own limited observations and not very methodical research. Thanks for the clarification. Well said, Mr. Mayer! I've linked your article at Gottesdienst Online (http://gottesdienstonline.blogspot.com/2013/07/the-importance-of-being-vested.html). Please keep up the good work. Soli Deo gloria! I am very humbled. Thank you, Rev. Beane! What you have written warms my heart, especially because it comes from the younger generation. By the look of your photo, my own children are probably around your age. They were raised with the ideas you bring up in your article in a Confessional Lutheran Church in a foreign mission field. When they grew up and returned to the USA for college, marriage, family, career, etc. it was not so easy for them to find a Lutheran church that shared your/their ideas about these things. They eventually did, but only after some trial and error. Articles like yours give us all pause to reconsider the richness and blessings of our Lutheran liturgical past. You have one terrific advantage in that you are a visual artist. So is my son. Not being an artist at all, it seems to me that the visual artist has a more conscious awareness of the effect art has on people, even if only subconsciously, and why it is important to maintain in the churches good art, which sets forth the teachings of Christ, be it paintings, stained glass, vestments, paraments, or what have you. The Lutheran Church needs to hear from people like you, who have been given this gift. I pray that your article will receive wide distribution and will move our beloved church ever closer to her roots. Thank you again. Keep writing. Thank you, James. I am simply overwhelmed with the positive responses I received today! And it certainly motivates me to hear such encouraging words. I will keep writing and making art to the best of my ability. The difficulty is that I dearly want to make a product that the Lutheran Church isn't really in the market for at present. So I first have to convince it that it still needs liturgical art! The more advocates we have for the arts, the better. Thank you again! I am a physician who is married to a Lutheran Brethren pastor. It is my understanding that Martin Luther himself said that we are all priests, so why is it necessary for the official ones to lord it over the rest of us with flashy garments? The only reason I keep my white coat around is because it gives me room to carry stuff in the pockets. What it does the most effectively, when worn professionally, is distance myself from my patients such that it is more difficult for them to be honest about what is on their minds. This does not mean I wear jeans and T-shirts in the office-I dress up, which for me means always a skirt and blouse. That is my uniform. My husband and others in the Lutheran Brethren Synod have not traditionally worn vestments as for the same reason. However this does not preclude dressing in a manner which indicates respect for the Mighty and Holy God we serve. For my husband this means clothing in good condition, shirt tucked in, cowboy boots shined. It is his particular uniform and his congregations have never objected to it. After all, he is there to preach the Word and not to be a peacock. There is no mention of Jesus' attire in the Scriptures, except for when it was being divvied up by the Roman soldiers. Perhaps this is because it really wasn't all that important. And I certainly see the logic behind your points. But by way of definition, a person cannot have his own "particular uniform," because that is an oxymoron. Uniform literally means "remaining the same in all cases" or "distinctive clothing worn by members of the same organization." If it is particular only to him, it is not "uniform," and it does not really set him apart from members of other organizations. I am not trying to say that your husband's attire cannot be respectful to God. But we have to recognize corporate worship as something that God is doing for us. Everything is potentially a teaching tool. What we are giving to God (in our attire, for instance) is entirely secondary to what he is doing for us through his Word and Sacraments. Vesture is a way of symbolically subordinating one's personality to the authority of God's Word. For instance, the stole symbolizes a yoke. It means that a pastor is not speaking by his own authority, but is yoked to the Word of God. The average layman may not know this, but that is because we never take the time to explain it. So it is little wonder that our traditions fall out of use. If wearing liturgical vesture makes one a peacock, then why did God command the priests to wear special vesture? The high priest wore elaborate clothing with fine fabrics, brightly dyed colors, bells, and a gold breastplate set with precious stones. This was all prescribed down to the thread by God in Exodus 25-28. I don't think it is defensible that priestly attire is not important to God. I am offended by the pastor's wife who opines on the intentions and character of those who vest, opining (with no evidence at all!) that they do so in order "to lord it over the rest of us with flashy garments?" Madam, shame on you. The flashier some priest's vestments are, the more you owe him an apology. Admitted, among all the priests of the world alive today, there are some who happily lord it over their sheep and depend on their vestments to do so. But your blanket charge of this vice against "official priests" is shocking, espeically from the spouse of one of the Church's officers. Fr Bill, I think the pastor's wife takes the priesthood of all believers to mean that clergy are not special, and that regardless of their attitude the very act of wearing distinctive clothing constitutes "lording it over the rest of us." So I tend to view her comment with some charity. But I would still criticize her: the priesthood of all believers did not originate with "Martin Luther himself" but is spelled out in Scripture; and Martin Luther himself did not abolish the office of specially set-apart presbyters to minister the Word and Sacrament, nor did he make that ministry a free-for-all-believers.